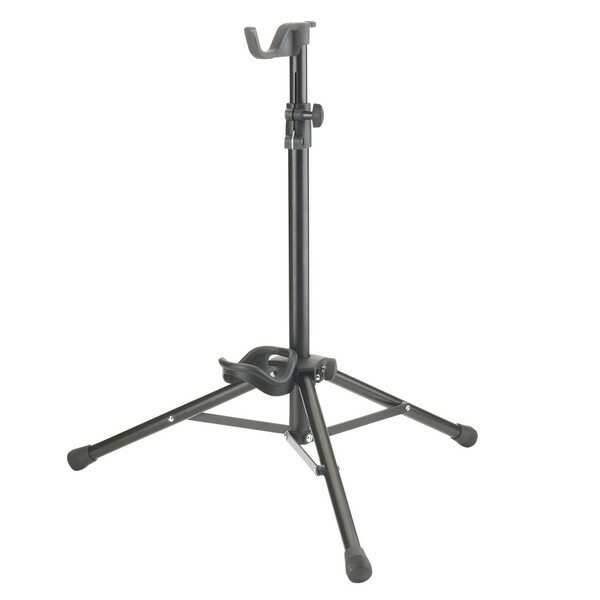 The K&M Tenor Horn Stand is suitable for use with baritones, tenor horns in Bb and alto horns in Eb. To hold all of these options the stand can be adjusted in height, while supporting each effectively. To protect the instruments finish during use, the metal bracket is wrapped in soft material. 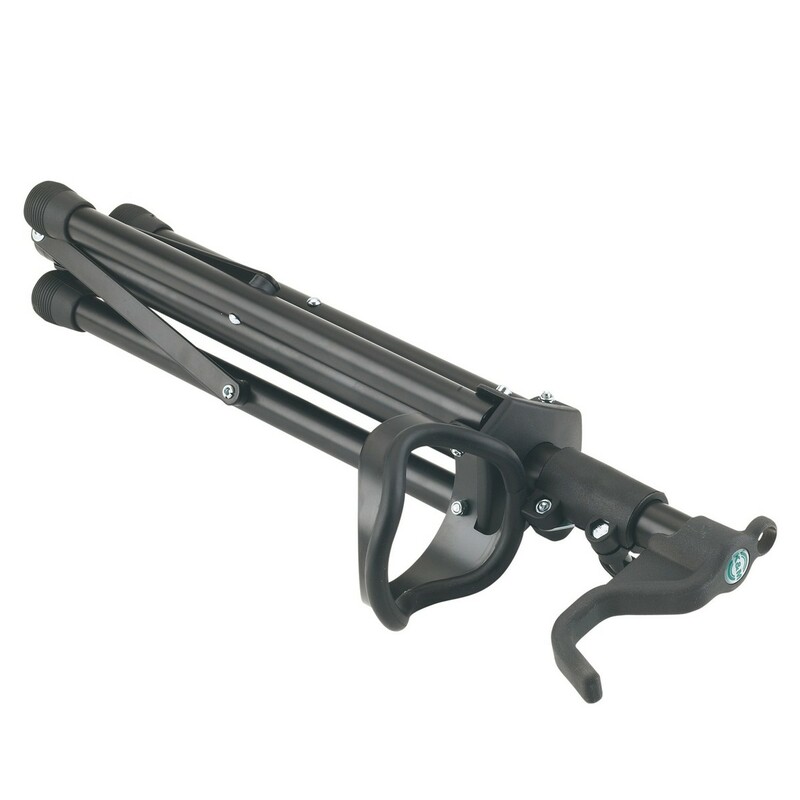 Similarly the lower instrument support is made from metal and coated in a soft rubber. For optimum stability the steel frame features tube legs with cross braces. The one-piece design can be folded into a travel friendly design. For the ultimate finish K&M has added a mouthpiece holder.